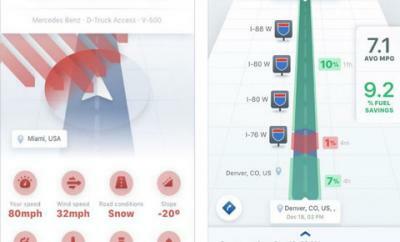 The folks at Grailr are behind a couple of very interesting iOS applications. Their alarm, workout, and to do apps are special in their own way. 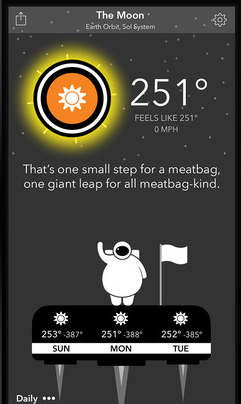 The CARROT Weather happens to be their latest app designed to offer you accurate weather data in a funny fashion. 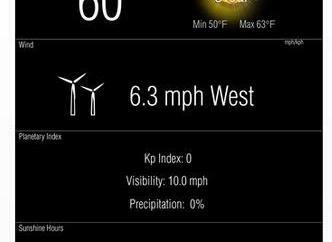 In other words, the app makes looking up weather information less boring. 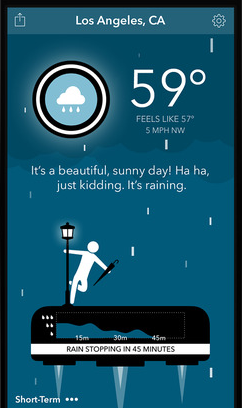 CARROT Weather gives you access to 24-hour and 7-day forecasts. 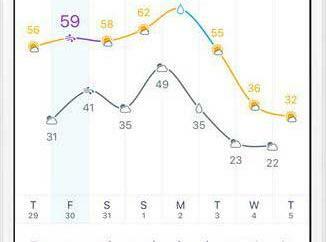 You also get rain and snow prediction, “feels like” temperature, humidity, visibility, moon phase, and more. There are also secret locations for you to unlock. The app does have over 2000 lines of spoken dialogue, so you don’t hear the same things over and over again. CARROT Weather provides you with the latest weather information and does not bore you like other weather apps. It requires iOS 8 to work.